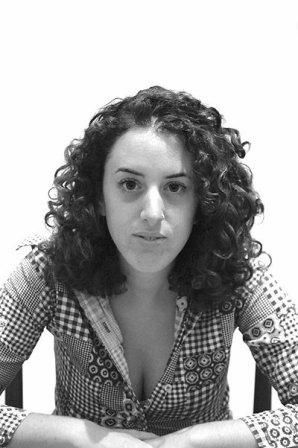 Amber Lining was founded by Inbar Itzcovitz in 2016 to express her love for patterns and textile design. A long search has brought her to this point where she can create for her living. .
Born to a family with generations of artisans: her grandparents worked as a freelance carpenter and as a weaver at a local textile business while her parents were working as a blacksmith and a stained glass artist in their in home studio. Growing up in a supportive and creative environment led her to this point. 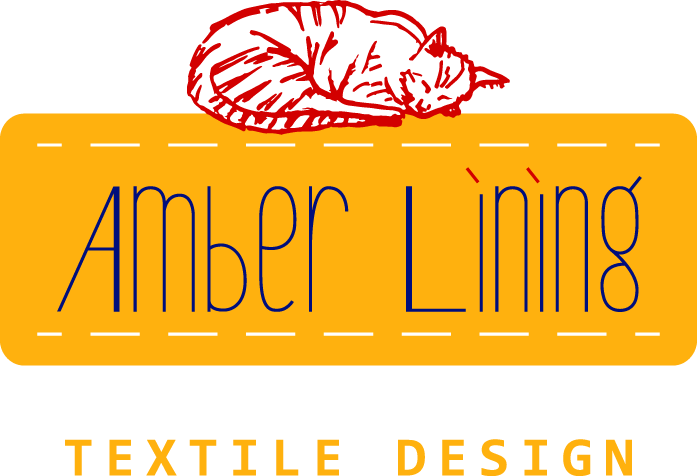 With passion to create classic designs and unusual prints, Amber Lining is not afraid to combine beautiful-simple illustrations and comfortable-practical products. 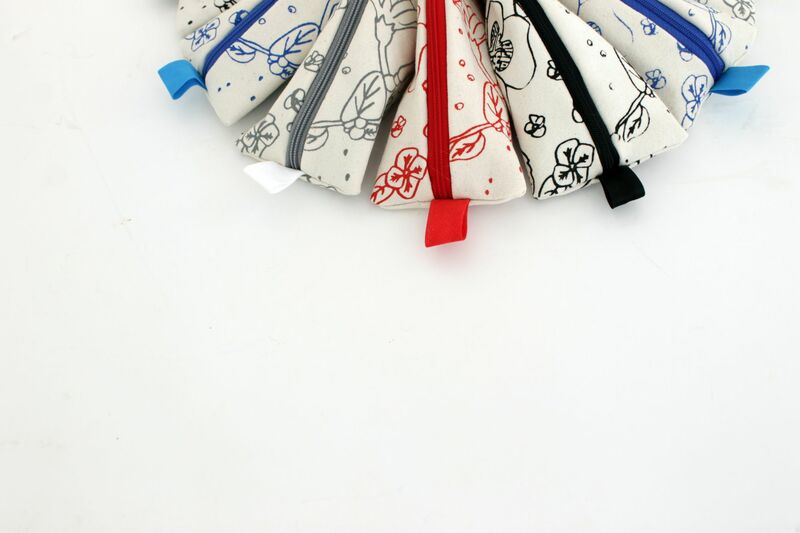 All products are sewn, screen printed, illustrated, cut out and designed by Inbar in her home studio in Pardes Hanah, Israel. We believe that anyone and everyone should have access to enjoy our website, and therefore we make an effort that our website is clear and accessible, and will allow smooth internet surfing for anyone using different technologies. The website was planned to meet the World Wide Web Consortium Accessibility Guidelines – Level AA. It is possible to navigate and use our website with the help of your keyboard alone. To activate this option, please click the TAB key. Clicking the TAB key will move you on to the next link (highlighted in yellow) and clicking on SHIFT + TAB will bring you back to the previous link. Clicking ENTER will activate the different links. On forms where you can click to choose different options – choose your desired option by pressing on the ARROWS key (up/down). For the different visual medias on the website (images/videos), you can navigate through the images by pressing on the ARROWS key (left/right). *the Accessibility Menu suits Explorer 10 and higher, Opera and Chrome. With browsers like Safari and Firefox on Mac computers, activating keyboard navigation is necessary, and is done on the browser’s settings menu. Accessibility Statement – open the website’s accessibility statement text. Skip to menu – begin navigation from the main site menu. Skip to search – moves the browser to the search box (assuming that the site has a search box). Skip to cart - moves the browser to the shopping cart (assuming that the site has a cart). Activate high contrast – Changes the site’s colors in order to suit the vision of colorblind or blind individuals. Text size can be changed by using + CTRL key or the browser’s options menu (zoom). To enlarge text: use + CTRL key. To make text smaller: use – CTRL key. For the default size text: use 0 CTRL key. Pressing on the button “activate high contrast” on the options menu disables and colors and background images on the site. The text will be black on white background. The site’s content includes standard titles, tables, lists, links, forms and buttons. Images on the site include a corresponding description (ALT) if they are significant. The forms on the site are accessible to screen users and keyboard users. The site could include content from different sites using iframe. The accessibility to this content is dependent on the guest site’s accessibility and we cannot guarantee that they are accessible. For instance – Facebook’s comment section and share options, payment pages of a third party supplier or any other content. The site can be viewed on portable devices (responsive). ARIA was used in order to provide use and navigate the site by screen reader programs.